Optus 4G WiFi Modem 800S VS E5786 - What's the difference? Optus is one of the important network providers in Australia and provides LTE networks in LTE Band 3, 7, 28 and 40. 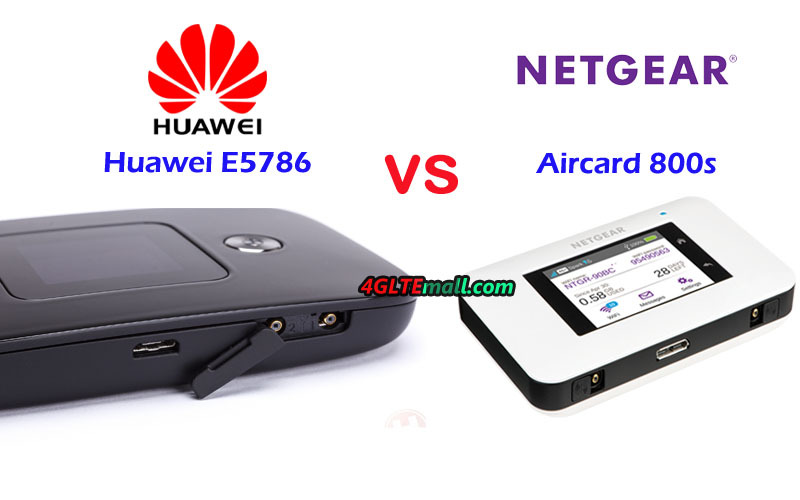 It has introduced the Huawei E5786 4G Mobile hotspots to its product range and now the new product Netgear Aircard 800s available for contract. 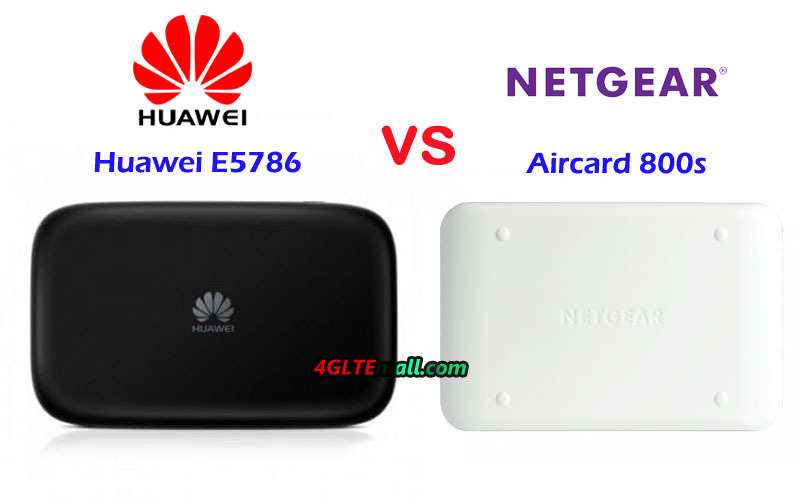 For those people who are interested in the two mobile hotspots, they may want to know what the difference is between the Huawei E5786 and the Netgear AC800S, and which one is better to buy for global use. We will review the appearance, interfaces, specs, and other features as a reference for the questions. Huawei E5786 is the first LTE Cat.6 mobile hotspot from Huawei, and the specific model for Optus is Huawei E5786s-63a. Huawei E5786 has a 2.4 inch screen to show the network provider, signal, battery, data consumed, WiFi users, SSID and password, and etc…Like other Huawei 4G pocket WiFi routers, Huawei E5786s-63a has two TS-9 connectors for external LTE antennas. The back cover of Huawei E5786 could be removed to insert the SIM card or SD card. However, the battery of Huawei E5786 is built-in and can’t be removed for exchange. The power button is on the front besides the screen while the menu button is on the top edge side of the device. Unlike the Huawei E5786, the Netgear Aircard 800s is configured with a touchscreen, where users can do simple setting through the screen. Like other Netgear 4G Pocket WiFi routers, Optus 4G WiFi modem 800s also has two TS-9 connectors for 4G external antennas. However, the back cover of Aircard 800s could be removed for changing the battery and inserting the SIM card, but there is no SD card slot for storage sharing. The Optus AC800S has a USB 3.0 interface. The specs table above shows the Optus 4G WiFi modem 800s is more advanced based on Qualcomm chipset and the support of LTE Category 9, which could achieve download speed to 450Mbps and upload speed to 100Mbps. With the 3 band Carrier Aggregation, removable battery and touchscreen, Aircard 800s seems better than Huawei 4G LTE E5786 MiFi. And they both support similar LTE Frequency bands. What’s more, the price of Aircard 800s is same as Huawei E5786 price. So if you would buy one 4G mobile hotspot from the two, Netgear Aircard 810s is recommended with higher configuration and better experience.